I have not posted much here for ages. Here are some radical history items I’ve spotted in my recent browsing. Today, 30 July, anniversary of the first recorded strike in North American history, we are launching a new working class history page on Facebook to celebrate our history: people’s history. I only know Alexander Cockburn as an editor of the creepy Counterpunch, and his airy dismissals of anyone who thought Israel Shamir a dodgy piece of work. There’s a fascinating account of him by Paul Berman. In Chicagoland, in 1970, almost every teenage girl listened to rock. They considered it their music—hormonal, quasi-outlaw, with screaming guitars and a heavy, driving beat. But it was sooo misogynist! This wasn’t the Beatles’ playful woman-affectionate songs. 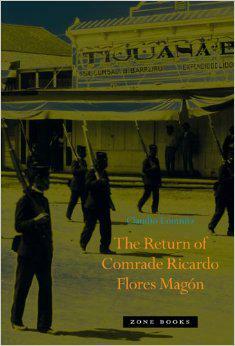 Claudio Lomnitz.The Return of Comrade Ricardo Flores Magón. New York: Zone Books, 2014. 594 pages. Notes. Index of Names. Photos. Hardback. $35.95. If it were a house, Claudio Lomnitz’s The Return of Comrade Ricardo Flores Magón would be a rambling, decaying mansion with various jerrybuilt stories and wings, a ramshackle place filled with archives and artifacts, old political posters and antique typewriters, a building straddling the U.S.-Mexico border, a shared abode whose residents are an interesting and odd collection of characters, some of them lovely people, some noble, and others quite disagreeable, coming and going at all hours, sometimes reciting poetry. And don’t be surprised if, while you’re visiting, the place is raided by Furlong or Pinkerton agents, by the police or the Texas rangers who carry off some of the boarders to prison; some of whom will be gone for years at a time. Ian Birchall: Lenin: Yes! Leninism: No? That Lenin was an important revolutionary leader, and that his life and work repay our study today, are not in doubt. But what of “Leninism”? Paul Le Blanc: Leninism, No? There is a distinctive political approach and body of thought that can legitimately and constructively be termed Leninism. Right-wing militias killed Rosa Luxemburg and dumped her dead body into the Landwehr Canal after the Spartacus uprising in Berlin. Social democrats and communists finished off her intellectual and political legacy by putting her on their respective pedestals. She became a principal witness against Bolshevik organizing practices for the former and was praised as a co-founder of the German Communist Party and a revolutionary martyr by the latter. Andrew Coates: Jean Jaurès: The Anniversary of his Assassination, July 31st 1914. A Tribute. A hundred years ago today, Jean Jaurès the leader of French socialism (SFIO, Section française de l’Internationale ouvrière), and Editor/Founder of l’Humanité were preparing an article against the coming war. Jaurès had supported the call of the Socialist International, launched by Keir Hardie and the Frenchman, Édouard Vaillant, to launch a general strike if armed fighting broke out. By 1914 Europe was on the brink of war. At the end of July an emergency meeting of the Socialist International was held in Brussels, which endorsed a call for peace. On the 29th of July Jaurès spoke with Rosa Luxemburg, at a rally of seven thousand people against militarism and the coming confrontation at the Cirque Royal. He had already warned that fighting would lead to a catastrophe, “Quel massacre quelles ruines, quelle barbarie!” (Discours de Vaise. 25th July 1914) Now he talked of his “hatred of our chauvinists” and that we would not “give up the idea of a Franco-German rapprochement”. This looked less and less probable. Jaurès’ newspaper column (published after his death) would describe of the climate of “fear” and “anxiety” spreading across the continent. Links International Journal of Socialist Renewal readers can read an excerpt HERE. To order a copy, email terryconway@tiscali.co.uk. August 6, 2014 — Links International Journal of Socialist Renewal — Anyone who was active in Britain’s Vietnam Solidarity Campaign (VSC) in the late 1960s will remember Ernie Tate, whose energy and enthusiasm made such a contribution. Now, 45 years later, he has published two volumes of memoirs from the 1950s and 1960s. The first volume deals with the period 1955 to 1965. Tate was born in deep poverty in Belfast – he left school at 13 and tells us he “had never known or met anyone who had been to a secondary school, never mind university”. His only university was the revolutionary movement, and to judge by his later development it gave him a fine education. Andrew Coates: Imperialism, Anti-Imperialism, and the Left. A Reply to Andrew Murray. Sit-ins at lunch counters by black students began in Greensboro, North Carolina, on February 1, 1960. Blacks had traditionally not been served there or anywhere in the South at that time. Within a week the sit-ins spread to Durham and Winston-Salem. Eleven of the first sit-ins were within 100 miles of Greensboro. After many arrests, and assaults by white hoodlums, on July 25 all Greensboro stores targeted by the sit-ins agreed to serve blacks on an equal basis. Let us start, like Dante, in the middle. At age twenty-two, Daniel Bensaïd (1946–2010), a French-Algerian-Jewish philosophy student, vaulted eagerly onto the world stage of the international youth radicalization of 1968. His political stardom came by way of a leading role in the actions igniting the largest general strike in the history of France. At the suburban campus of the University of Paris at Nanterre, Bensaïd joined with his German-Jewish classmate Danny (“The Red”) Cohn-Bendit (b. 1945) to form the March 22nd Movement. This was a surprising partnership of anarchists, situationists, Trotskyists, and Maoists who seized an administrative building to proclaim demands addressing class discrimination and bureaucracy in the educational system. Bold for its time, the Nanterre occupation is customarily credited with detonating the chain of student strikes and protests climaxing in the sensational actions in Paris six weeks later: The May 6 demonstration of 20,000 at the Sorbonne and the May 10–11 all-night battle on the Left Bank. The labor- and third-party movements of the late nineteenth and early twentieth centuries have been studied and written about extensively by academics and writers on the left. Most readers of this journal are probably familiar with much of this material. This book, however, is of particular interest today for a couple of reasons. For one thing, the author concentrates on the South and emphasizes the biracial nature of the movement. Murray Bookchin’s history of the “tragic week”: a spontaneous workers’ uprising in Catalonia, Spain, which was isolated and crushed by the government, leaving hundreds dead. On 10 April 1887 a few dozen bakery employees in Lima got together to launch the ‘Star of Peru’ (Estrella del Peru) Bakery Workers’ Society (SOPEP: Sociedad de Obreros Panaderos Estrella del Perú), affiliating to the Universal Union Artisans’ Confederation as federated branch No 9. 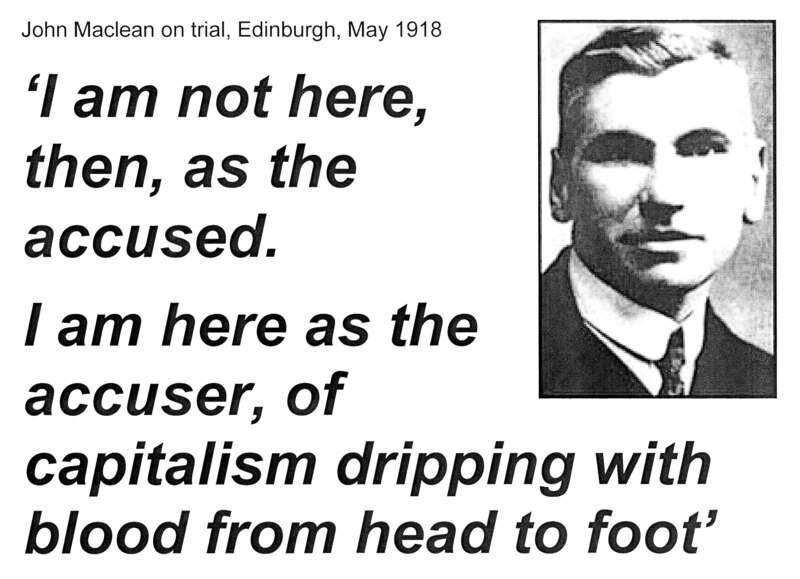 Europe who denounced their governments’ participation in the war, urged workers to resist it, and hoped that it would be superceded by class war. On July 29, 1910, citizens in the small, predominately African American town of Slocum, Texas were massacred in an act of terror designed to maintain economic white supremacy. At the bottom of the post, below the fold, book notes and the archive of struggle. On this day in 1900, in Mexico, Regeneración: Periódico Jurídico Independiente was founded by Jesús Flores Magón, Antonio Horcasitas, and Ricardo Flores Magón. This was a key event in Mexican anarchism and in starting the Mexican revolution. Read more here, here and here. 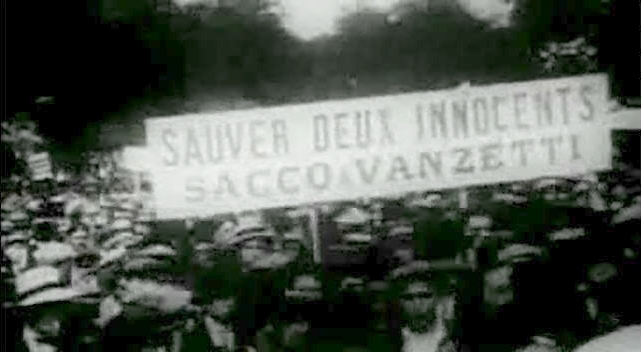 On this day in 1927, there were global demonstrations against the execution in the US of the Italian anarchists Sacco and Vanzetti. In Paris, 200,000 supporters marched. More on Sacco and Venzetti from the People’s Informative. Continue reading for reviews of books on Mandel, Silone, Orwell and Berlin and for archival material on Brinton, James, Dunayevskaya and others.